GAP SALE! TAKE AN EXTRA 40% OFF ALREADY MARKED DOWN ITEMS! I went into GAP today and they had a huge sale going on, take an EXTRA 40% off all marked down sale items in adults and take an extra 20% in kids and babies. There was some sweet deals. 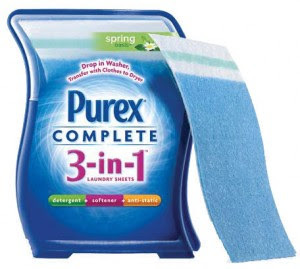 You can score a FREE 2-sheet Purex 3-in-1 sample right now. Quantities are limited, so don’t wait!If you don't know what they are, they're detergent, softner and dryer sheet in one! Amazing huh? You’ll receive a sample pack with two Purex Complete 3-in-1 Laundry Sheets in about 6-8 weeks. Use the code RBX2NITE or FREE45W to get 1 night’s free rental at Redbox. however FREE45W did not work for me.